New stitching and other technologies allow us to create highly flexible systems combining machinery design, strength and precision. We can produce systems for a host of applications. These can be continuous roll stitching systems as well as fully automated systems for the making up of finished goods. 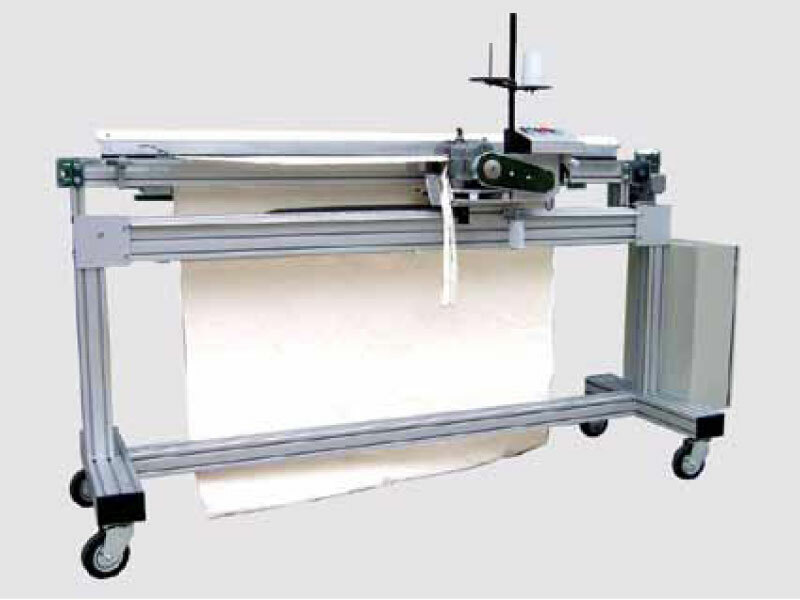 We have several Linear rail stitching systems for joining fabric batches before processing. 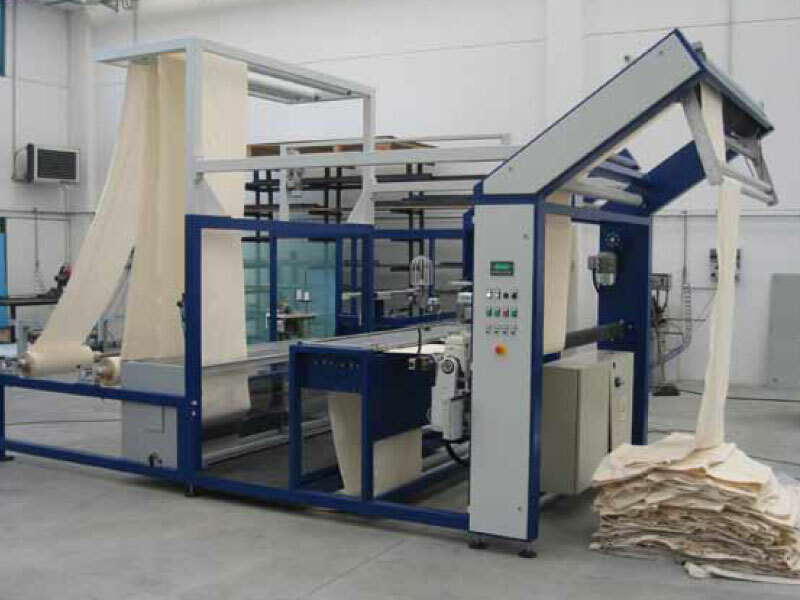 Special purpose machines can also be designed and custom engineered to meet the very specific demands of fabric finishing applications. Preparation machines are modular and built accordingly to client’s needs. Works carried out: unrolling, sorting, sewing head to tail stitching of pieces, roll winding or pleated. Unwinding fabric’s speed: 180 m/min. When roll come to end, automatic fabric slow down for instantaneous stop. 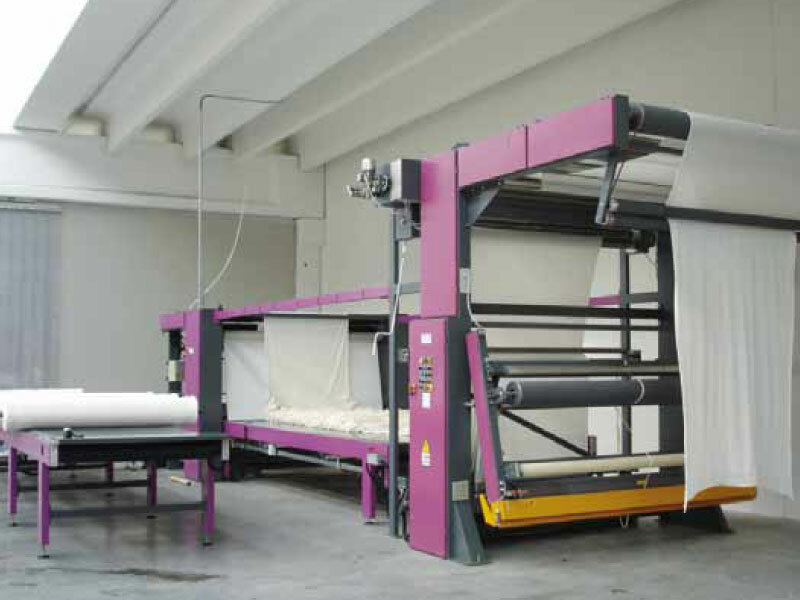 Machine used to join two or more fabrics of the same of different heights to form a single sheet to optimise the subsequent processing stages such as dyeing and finishing. The great advantage of this system is the ability to double/triple the productivity by optimizing costs. Perfect alignment of two or more sheets and stitching near the selvedge. Other models/options are available and we will be pleased to discuss your exact needs.